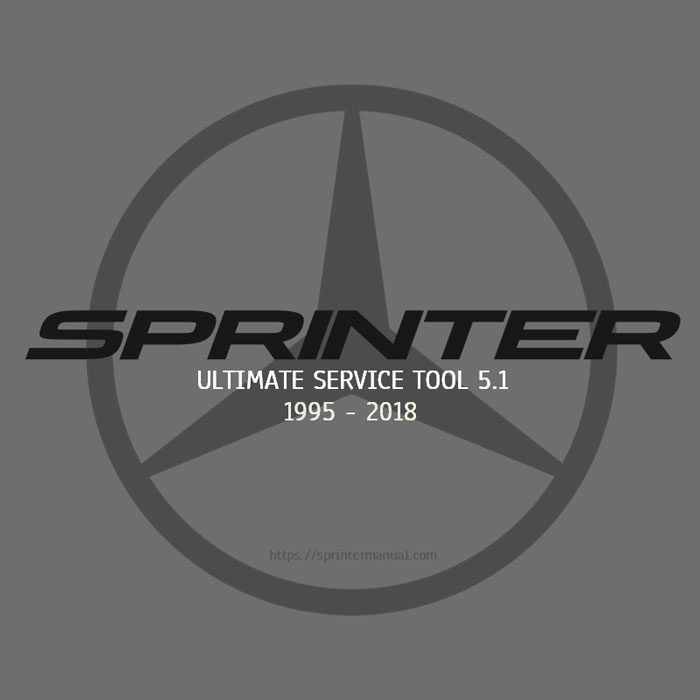 The Sprinter Ultimate Service Tool version 5.1 is our latest and greatest Sprinter van service information product. 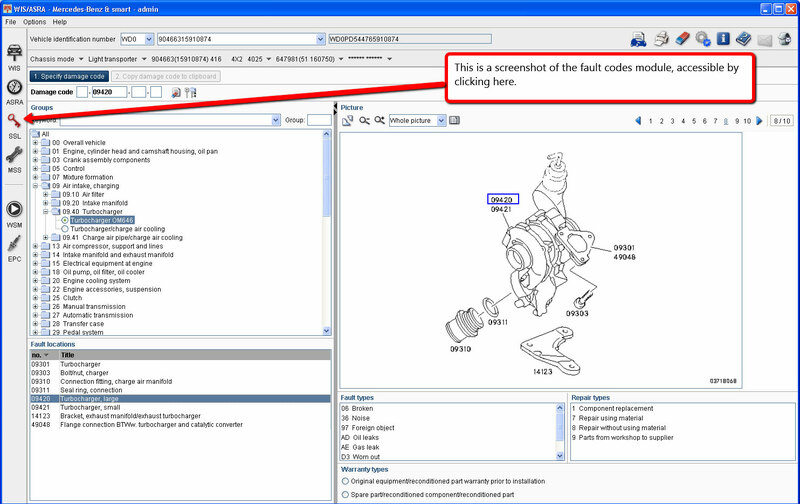 This newest revision of our extremely popular sprinter manual is 3 years in the making! 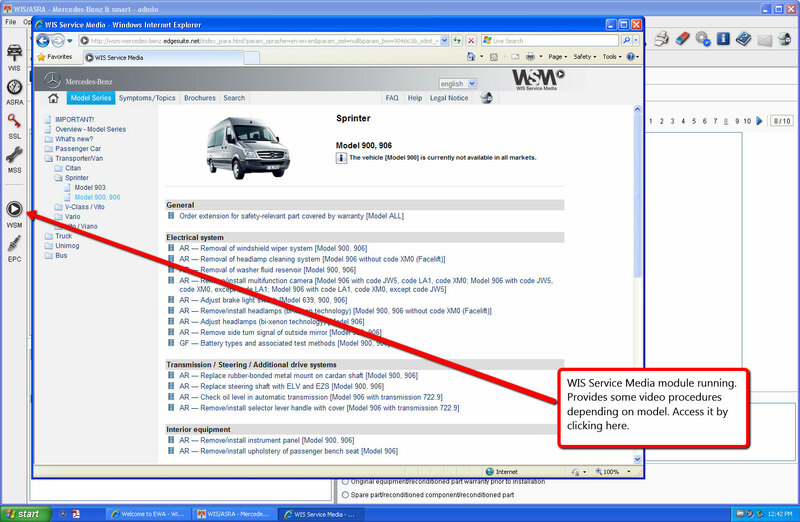 It is the most complete source of Sprinter Van diagnostic & repair information available anywhere. It covers EVERY Sprinter Van manufactured between 1995 and 2018 in EVERY market worldwide! 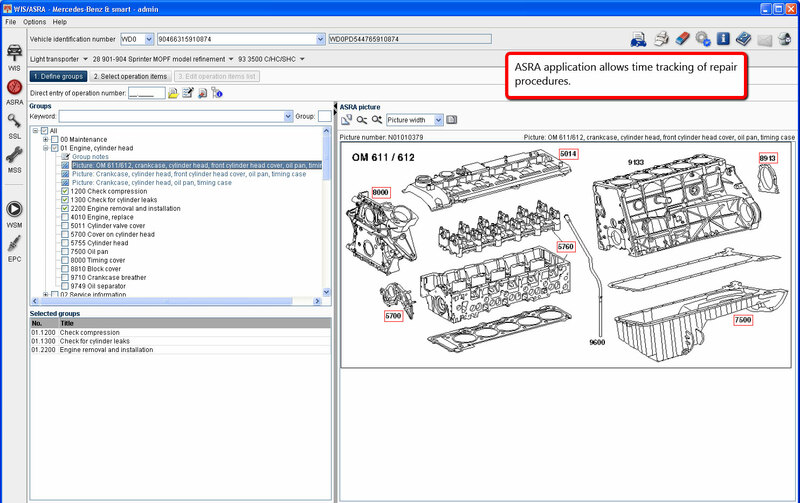 This mega-manual contains factory Mercedes-Benz Sprinter service data, troubleshooting and repair guides, removal and replacement procedures, wiring diagrams, error codes, parts catalogs, damage codes, repair time tracking and much more for all Sprinter vans. It utilizes the Mercedes-Benz WIS-ASRA/EPC database that covers every Sprinter van ever made, searchable by the van’s VIN#. 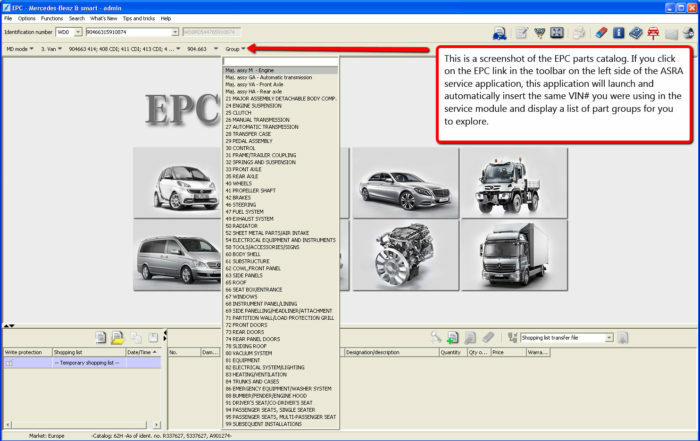 The Sprinter Tool 5.1 is a complete virtual PC that runs in a window on your desktop. This eliminates the need for the user to struggle with installing applications and configuring keys as well as many of the other issues that plagued the Mercedes-Benz EWA installation process. 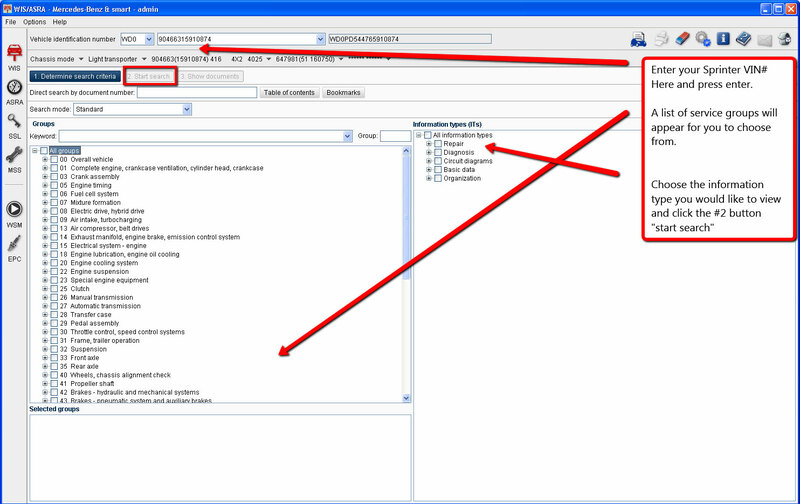 The virtual PC requires only the free VMWare Player to run, which is included on the USB flash drive. 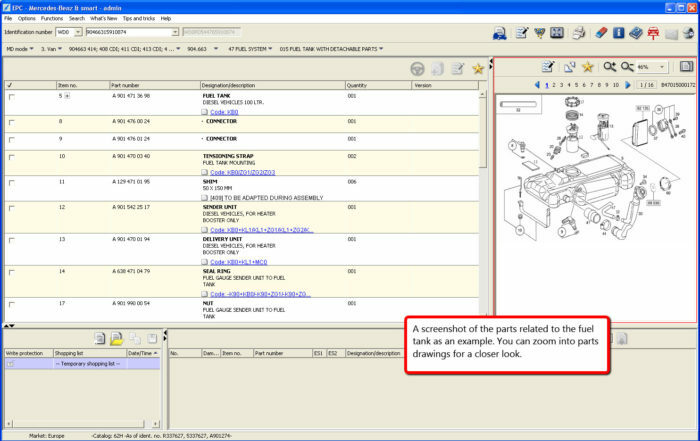 The Sprinter Tool runs on Windows 7, 8 & 10, as well as Mac and Linux operating systems. 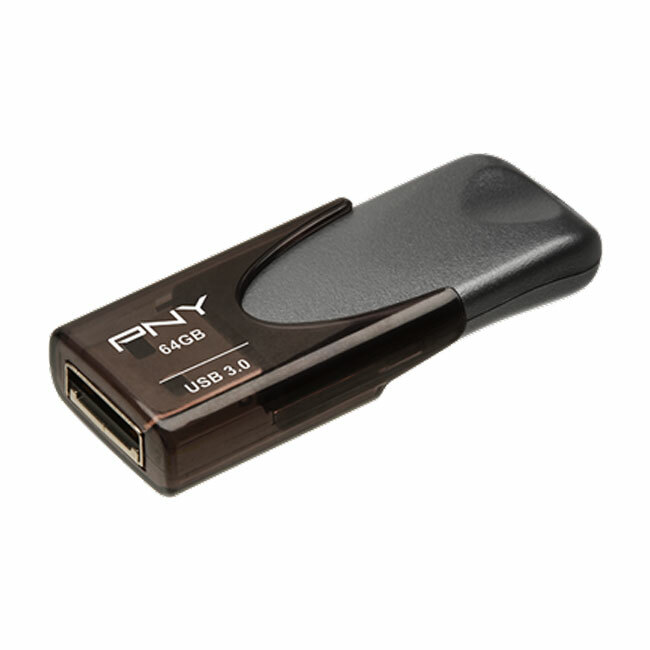 Due to the immense size of the database, the Sprinter Tool 5.1 comes loaded on a premium PNY USB 3.0 High-Speed flash drive. 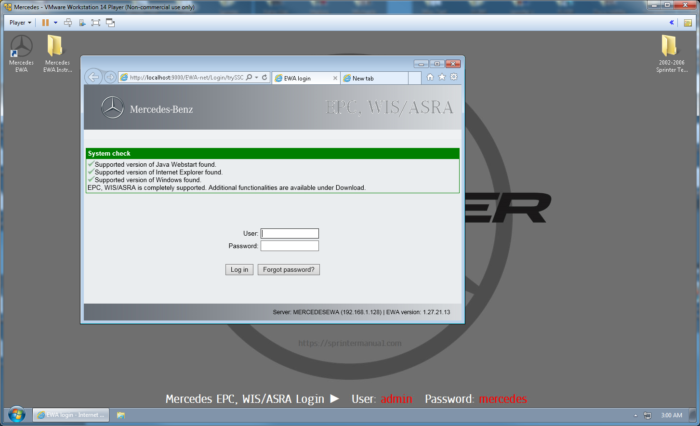 This drive is also 100% backwards compatible with older USB 2.0 ports. Copying the files from the flash drive to a folder on the hard drive of our test PC took less than 1 hour to complete. 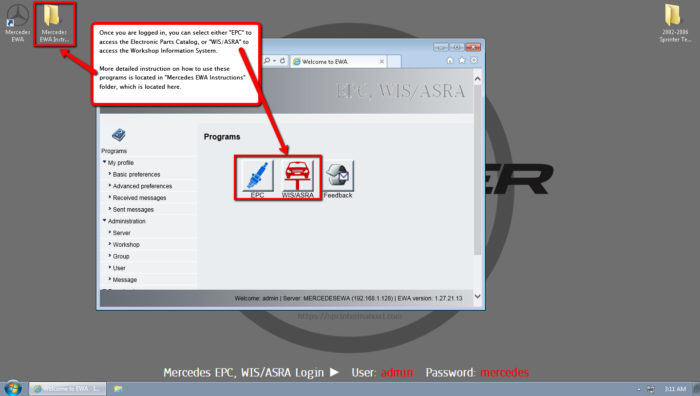 Mercedes-Benz charges $25.00 PER DAY to access their service database. We have brought that entire database directly to you, ready for your unlimited use, no daily access fees! 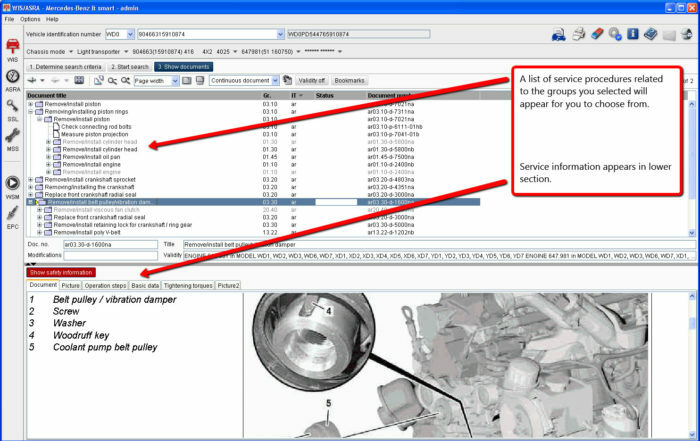 This MASSIVE database is 60GB in size and contains an incredible amount of Sprinter service data! We suggest that you spend some time reviewing the user manuals included on the desktop of the Sprinter Tool to quickly get yourself up to speed using it. This is quite simply the most complete Sprinter service manual product available anywhere. They are in stock and ready to ship immediately! Order yours today!